Take a deep breath . . . everything is going to be okay! You're just a click away from discovering one of the best kept secrets in the South Bay! I'm so excited you've found me. If you know what Reiki is, you know what a wonderful treat awaits you. If you've never experienced Reiki, you're in for a treat! 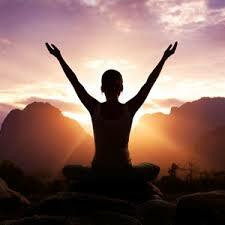 A visit to South Bay Reiki & Wellness is the perfect antidote to the stress of every day living. While everyone experiences Reiki differently, there are some things you might notice. It's all about the energy. You feel it instantly: the clarity of your mind, the easiness of your breath, the deepness of your sleep—for days, even weeks. Your mood will be lifted, your concentration improved, you'll notice that things just get easier. Most people don’t need any assurance that Reiki—as dispensed by a true Reiki Master—is the real deal. You'll know it at the first touch. And you'll remember to breathe again! You can click the links below to like my Facebook page or follow me on Twitter! see what Reiki can do for you!